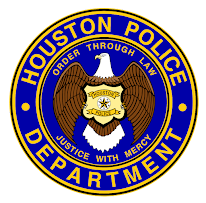 Houston Police Department: Pressure Relief! Awesome...great video. I love that HPD has a sense of humor. Police are not all serious and mean people. 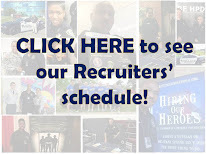 HPD rocks! Love the blog videos and pictures. I am only 16, but one day I hope to be a policeman like you guys. I hear that the LT is going to another assignment. We will miss you LT. Good luck and thanks for putting out such a great group of officers over the last few years! Great video. I love that you put funny stuff on the blog and it is not all boring news and stuff. I read your blog everyday and hope to be a police officer one day. Haha I love the LT at the end.. miss ya sir! To the person who continues to inquire about Officer "C", please email your questions rather than use the comment forum to ask the question. My email address is officermccoy@gmail . I will be happy to answer the question for you. We will miss you out here LT. Love the donut clip! Funny video. Love the blog! too funny. see ya at westside l.t. Daily, I constantly am reminded on how rewarding it is to be a police officer. I am stongly considering on becoming an officer. Right now I am a sophomore in college and I really would love to become an officer.. Thanks officer Mike for all you do.